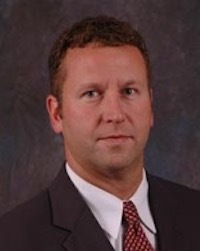 Craig Browning is the Director of Marketing and Personnel at KWC CPAs. Craig is responsible for managing all aspects of the firm's marketing and business development initiatives and recruiting activities. He works closely with niche teams to achieve the goals of the firm's long-term vision by developing a culture of responsive solutions for their clients. 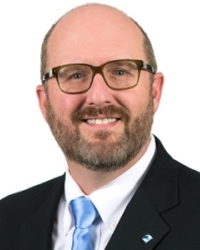 Craig's professional memberships and civic experience include: Advisor to AAM Finance Committee; Alexandria Chamber of Commerce Marketing Committee; Junior Achievement Volunteer Instructor; and ex-officio board member, Kentucky Film Commission. Past positions include member of American Institute of CPAs and the Kentucky Society of CPAs; Moore Stephens North America - Marketing Special Interest Group; Board liaison for the AAM Publications Committee as well as AAM Board Member; Commerce Lexington Ambassador Committee; Commerce Lexington Winners' Circle Campaign - team captain; Leadership Lexington class of 2011, Bluegrass Tomorrow - Young Professional/Diversity Council; Leadership Lexington Youth Program Steering Committee Member; Leadership Lexington Alumni Steering Committee Member; and Small Business Development Center instructor. Laura has 30 years of experience assisting companies with marketing communications and business development activities, including more than 15 years in accounting marketing at two industry-leading firms specializing in the financial services sector. 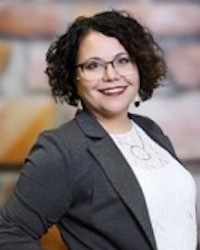 In her current position, she focuses on continuing professional education events for clients and prospects, integrated marketing communications programs, lead generation campaigns for top prospects, and client relationship development. 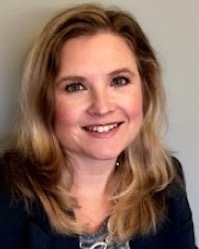 Active in the Association for Accounting Marketing (AAM), she currently serves as Immediate Past President on the Executive Committee of the Board of Directors, a Board Member of the Atlanta chapter and as a Board Liaison to the Environmental Scanning Council. Past AAM leadership positions include President, President-Elect, Vice President, a two-year term as Treasurer, two terms as Member-at-Large on the Board of Directors, three years as chair of the Conference committee, chair of the Marketing Achievement Awards committee, a term as Conference committee member and held board liaison positions to the Finance, Association Growth and Growth Strategies committees. She was named "Volunteer of the Year" for AAM in 2008 and has helped her firms earn 10 "Marketing Achievement Awards" in several categories over the years as well as the large firm “AAM to Serve” award in 2018. 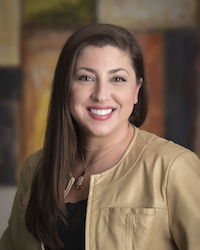 Jen Lemanski is the Senior Manager on the Practice Growth team of Pannell Kerr Forster of Texas, P.C. (PKF Texas), a middle-market CPA and advisory firm in Houston focused on co-developing solutions for international and entrepreneurial-minded businesses. Jen is responsible for leading the PKF Texas Practice Growth team, which implements the firm’s content strategy, marketing initiatives and outreach into the marketplace, including the award-winning firm blog, TheCPADesk.com along with the PKF Texas – The Entrepreneur’s Playbook® videos airing on HighDrive.tv. Jen has served in various roles on the Association for Accounting Marketing Board of Directors since 2015. Jen is a key member of the national editorial board for The Edge Magazine, a publication of the Leading Edge Alliance, an international professional association of accounting firms. As the champion for the firm’s young professionals’ initiatives, Jen leads the PKF Texas Cubesters®. She was founding committee member of the Jet-Set Young Professionals for the World Trade Soiree. Jen is a past Chair of the Houston Young Professionals Endeavor (HYPE). She also serves on the Steering Group of the Young Professionals SIG of the Leading Edge Alliance and was the founding Steering Group hair. She is a graduate of the Center for Houston’s Future LeadershipNEXT program and in 2017 was one of the Houston Business Journal’s 40 Under 40. As long-time member of AAM she’s volunteered in different capacities including a recurring column from 2006 to 2010 in MarkeTrends (now Growth Strategies), co-chaired the 2014 Summit: Roots of Success Summit in Orlando, FL held jointly with the AICPA and AAA and chaired the 2016 Summit: inNEWvation in New Orleans, LA. She was honored to be name AAM’s Volunteer of the Year Award in 2016. She’s served as a Board Member At-Large from 2016-2018 and board liaison to the Member Growth Committee. Melissa was recently elected as Vice President of the association and her primary focus will be serve AAM’s Summit Committee on the 2019 AAM/AICPA Engage conference in Las Vegas, NV. As director of practice growth, Becca oversees the marketing and practice growth efforts for Rea & Associates, a Top 100 firm. She focuses on building relationships with the firm's principals, helping them identify opportunities and providing them the tools they need to grow their practice and develop new offerings and solutions for their clients. She also oversees a team of 6 in guiding the firm’s marketing, content and growth strategy. Becca joined Rea's practice growth team in 2005, during the infancy of the firm’s formalized marketing program. Today the firm has a robust and well-rounded marketing program that supports the firm’s 300 professionals in 13 Ohio offices. Becca also helped the practice growth team win 16 Association for Accounting Marketing (AAM) Marketing Achievement awards. She joined AAM in 2005 and has been an active volunteer ever since. She has served on AAM’s board since 2016. Becca holds a bachelor’s degree from Miami University. She is a 2016 graduate of Leadership Dublin and a 2017 graduate of Rea’s NextGen leadership program. Carrie is a founding shareholder and President of The Whetstone Group, Inc. Since 2000 Whetstone has provided growth consulting services to hundreds of CPA firms nationwide. She has more than 20 years of CPA firm marketing and business development experience. Before joining Whetstone, Carrie was an in-house marketing director in the national marketing office of RSM, LLP. Carrie is a national leader in the profession. She currently serves as President of the CPA Consultants' Alliance (CPACA), a working group of thought leaders united in their efforts to further leadership within the CPA profession, and a member of the CPA Consultants’ Trust. She has previously served on the AAM's Board of Directors as well as Chair of AAM's Education Committee. She has been a member of AAM since 1995. She is a recognized authority on growth and professional development topics and has presented for the AICPA, the Association for Accounting Marketing's (AAM) Annual Summit, the Indiana CPA Society, DFK USA's Annual Growth Summit, Moore Stephens North America, MSI Global Alliance's International Managing Partner Conference, BKR's Annual Marketing Meeting, PKF North America and The International Group of Accounting Firms (IGAF). She has been published in the AAM's MarkeTrends, The Journal of Accounting Marketing and the CPA Practice Management Forum. Praxity – Global Alliance Ltd.
Græme is the CEO of a Praxity - Global Alliance a global accounting and allied professional firms alliance, so with well over 20 years past SME, Charity & PIE experience in Business, comes an in-depth knowledge of all sizes of Businesses from those of £1m to £1Bn. This, he contends, ensures he has significant recent relevant knowledge and experience. Prior to joining Praxity, Græme was the CEO of Emile Woolf International, training accounting and key soft skills in several parts of the world, including Moscow, Beijing, New York and Islamabad. Græme is a Fellow of the Institute of Chartered Accountants in England & Wales, and a Liveryman and a member of the Court of the Worshipful Company of Chartered Accountants in England & Wales, as well as a Liveryman of the Worshipful Company of Feltmakers. 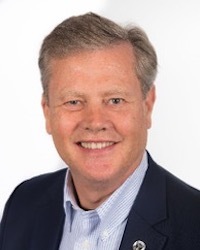 As well as serving two 'tours' as President of Thames Valley Society of Chartered Accountants (2003 & 2009), on whose Main Committee he still sits, Graeme has served on several Committees and Boards for the Institute of Chartered Accountants, and is now a member of their Nominations Committee. He also regularly meets with International members of the Institute around the world from Chicago & New York, to Panama City and Kyiv. Thus, not only engaging our international members with the Institutes offerings, but also getting direct feedback from yet another key constituency of the Institute. Graeme was, for over 10 years, the Producer and Treasurer of a Charity, Chiltern Shakespeare Company, (CSC)which annually produces and performs a Shakespeare play in the Grounds of Hall Bard, Beaconsfield to a, collective, audience of 4,000 per annum, via 10 performances. The gross turnover of CSC is annually circa £120,000. Græme is Married to Sharon, (36 years) and they have three Children; Samantha (30, Solicitor), Callum (27, Film producer) and Caitlin (18, student at Nottingham). 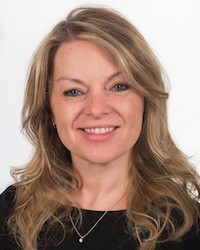 Pauline Gonnering is Director of Growth and Operations for Cummings, Keegan & Co., P.L.L.P., (CK&Co.) a 30-person CPA firm with 2 offices near Minneapolis, Minnesota. Her primary role is to develop and implement the firm’s strategic growth plan. She also assists in some operational and HR issues such as practice management reporting, employee recruiting and engagement. Her 20 years of experience in professional services marketing includes time spent with accounting and engineering firms. Mrs. Gonnering participates on the AAM Environmental Scanning Council, which discusses the top marketing and growth issues facing the accounting industry. 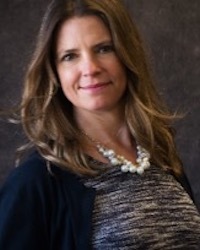 She also served on the AAM Business Development Committee, as a member of the AAM Summit 2013 Planning Committee and served as Secretary for the AAM-MN Chapter 2010 Board of Directors. 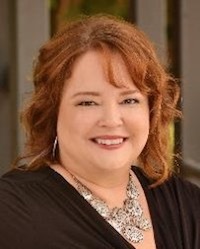 She has presented programs on business development for the CPAmerica Marketing Roundtable, as well as serving as the Roundtable Chair in 2010 and 2011. In 2000, Pauline served as President of the SMPS-Wisconsin Chapter Board of Directors. You could say she truly enjoys working with people who love numbers…working with accountants and being married to an engineer. Pauline's interests include family travels with their son and daughter, as well as gardening, camping, fishing, house renovation projects, and watching sports. Nathan has more than 20 years of experience promoting products and services, pitching practical ideas and providing strategic business solutions in the fields of B2B and B2C marketing, advertising, public relations and sales. As marketing operations manager for BKD, he manages the Marketing & Business Development department’s client experience program and assists with merger and acquisition efforts. He joined BKD in 2009 to help establish the firm’s first centralized proposal team and has since had the opportunity to work closely with firm leadership and help develop the firm’s Sales Training Institute initiative. Nathan also oversaw the firm’s overall branding, communications, marketing and advertising efforts and led the firm’s talented creative, content, media, proposal and webinar teams. Prior to joining BKD, Nathan was an account service manager with two national, full-service advertising and marketing agencies, counting several international corporations among his clients. He is an active member of the Association for Accounting Marketing (AAM) and has served on various committees and as a member of the AAM Board of Directors. He has been recognized with a number of professional accolades and awards, including helping BKD win eleven AAM Marketing Achievement awards. Nathan enjoys participating in his community and volunteering with not-for-profit organizations. He is a 1997 graduate of Missouri State University, Springfield, with a B.S. degree in communications management. Mitch is principal in charge of client experience, engagement, and strategy for Rehmann’s 20 offices in Florida, Michigan and Ohio. He is also responsible for leading the client service strategy to drive loyalty, retention, and growth. Additionally, he provides in-house consulting to his firm on marketing, sales management, brand building and practice growth strategies. Since joining the firm in 2001, Rehmann’s revenues have more than tripled and are projected to be $115 million in 2015. Prior to joining his firm, Mitch worked for Michigan Sugar Company, a subsidiary of Imperial Sugar Company, as manager of marketing communications, directing internal and external brand strategy as well as communication and promotional programs. 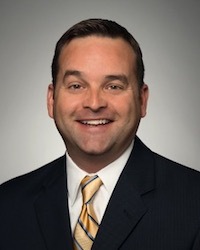 He has presented nationally at events such as the AICPA Marketing Forum, Manufacturing Services Association Super Conference, the Association of Accounting Marketing and the BDO Seidman Alliance. In recent years, his firm has been recognized with 21 national awards for marketing, branding and promotional programming for professional services. In June of 2006, Mitch was named Accounting Marketer of the Year by the CPA Practice Management Forum and the Association of Accounting Marketing. Mitch was the AAM Education Committee Co-chair (2006-2009), chaired AAM’s re-branding committee and spearheaded the development of the “Sales Track” breakout sessions at the AAM Summit in Denver, Colorado. 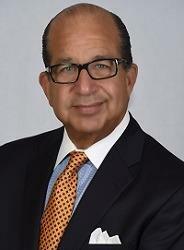 Charles (Chuck) Ludmer is responsible for all aspects of CohnReznick’s firm-wide marketing and practice development initiatives and also serves as Liaison to Nexia International. In that role, he facilitates client referrals to and from member firms, fostering mutually beneficial relationships between partners and their counterparts around the world. Chuck currently chairs the Nexia International worldwide marketing committee. For more than 25 years, Chuck has been a leader in the marketing of accounting, tax, and consulting services to a broad spectrum of clientele. He began his career with CohnReznick as a staff accountant and moved on to hold several positions in the management consulting group. In 1986, he was appointed Director of Practice Development at J.H. Cohn (now CohnReznick) by the firm's management committee. During that tenure, he coordinated and developed relationships with banks, finance companies and providers of alternative sources of capital. 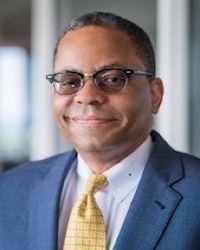 Chuck is a founding member of the Commercial Finance Association's Educational Foundation and he has served as an adjunct faculty member at the Stern School of Business at New York University. Chuck currently serves on the Leadership Committee of the Lincoln Center Corporate Fund and is a founding member of the Lincoln Center Business Council. In 2009, Chuck received the 7th Annual Business Leadership Award and was honored for his dedicated service to the arts at Lincoln Center. Bonnie Buol Ruszczyk (like rustic without the “t”) is the founder and owner of bbr companies llc. After having built a widely recognized and respected marketing firm, bbr marketing, she decided to make a big change in 2017 and scale her business back so she could focus on what she does best and brings her the most joy. And thus her part-time marketing director service was born. Many firms can benefit from the input of a seasoned, experienced strategic marketer, but don’t need or want to invest in that resource full-time. This way partners can focus on what they do best with the knowledge that their marketing (and occasionally their marketing team) is being managed by an expert with their strategic plan always in mind. A few years ago, Bonnie quite literally wrote the book on online marketing for accounting firms, Take Your Marketing Online: Proven Ways to Grow Your Firm in the Digital Age, at the request of the AICPA. 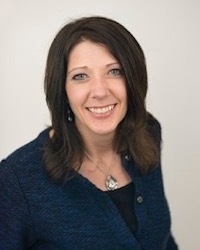 She also contributed a chapter to Bridging the Gap: Strengthening the Connection Between Current and Emerging Leaders in the CPA Profession and has written for, and been quoted in, Social Media Today, Accounting Today, Entrepreneur, US News & World Report, CPA Practice Advisor and other industry-related publications and websites. She has been recognized as one of Accounting Today’s Top 100 Most Influential People (2012, 2013, 2016) and One to Watch (2011), Volunteer of the Year by the Association for Accounting Marketing and one of CPA Practice Advisor’s Most Powerful Women in Accounting (2015, 2016). Before founding the firm, Bonnie wore many hats, including serving as a public relations director for a health and fitness startup in Silicon Valley, which allowed her to see the dotcom boom and bust firsthand; international marketing manager for Turner Broadcasting, where she helped launch TNT and Cartoon Network in Asia; and creative managerial roles with software and financial services firms, which started her on the path and laid the foundation for her passion and expertise for professional services marketing. Katie Butler Cohodes breathes innovation into each marketing project she develops at Weinstein Spira. She thrives at creating noise and amplifying the firm’s strong foundation of success and relationships to the Greater Houston community. 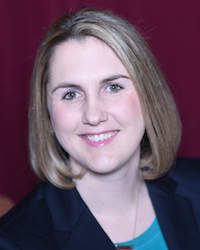 Clever and passionate, Katie excels at strategic planning, brand management and marketing education. Katie came on board at Weinstein Spira in 2014 as the first marketing hire in the firm’s history and is now their Marketing Manager. Prior to joining the firm, she gained invaluable experience working in Houston’s energy start-up space and London’s magazine publication niche. A proud Boilermaker, Katie is a graduate of Purdue University in West Lafayette, Indiana and majored in public relations. Outside of work, you can find Katie at one of Houston’s foodie spots with her husband, Daniel, spending time with family and entertaining her golden retriever, Molly. Crystal has more than 15 years of professional experience and serves as the marketing director of top 20 Midwestern firm KPM CPAs & Advisors. In this role, she oversees all aspects of the firm’s marketing, creative, and communications strategy and execution. In addition, Crystal created and runs the firm’s community program ‘KPM CARES’, overseeing volunteer work, community giving, and professional memberships. 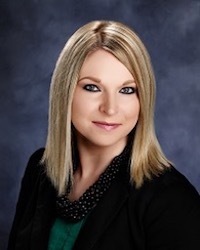 She is a member and former committee chair of the Association for Accounting Marketing, a board member and committee chair for Leadership Springfield, and a member of The Network. 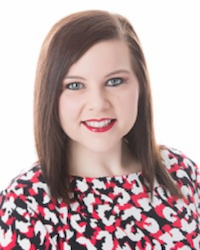 Crystal also is involved locally in community activities through the United Way of the Ozarks and various other local non-profit organizations in addition to previously serving as a committee chair within the Junior League of Springfield, MO. She was recently recognized as one of the Springfield Business Journal’s ’40 Under 40’ and also frequently publishes articles for marketing publications. Crystal graduated from Drury University with her B.S. degree in Advertising and Public Relations. Natalie McCann has been a member and volunteer for the Association for Accounting Marketing since 1997. She served on the AAM-MAA and Virtual Education committees before chairing and co-chairing the Virtual Education Committee. Natalie credits AAM and the people she has met through her AAM network with much of her success. Natalie is a Marketing Strategist for Thomson Reuters’ Checkpoint Marketing. Before joining Checkpoint Marketing, Natalie spent 20 years as an in-house marketing director at a regional accounting firm in northern Ohio. She led the marketing efforts of the multi-office firm by driving development of niche practices, building highly visible event brands, and driving efforts in the areas of digital marketing. As a seasoned marketer, she now works with firms of all sizes across the country sharing content marketing best practices and strategies to impact communications, branding and business development. Natalie graduated from Bowling Green State University with a B.S. in Business Administration and Marketing. 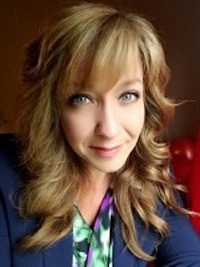 Nicole is the Director of Marketing & Communications for RSW Accounting + Consulting in Montréal, Quebec Canada. As a marketing professional with international marketing experience, she has knowledge in private, corporate, agency, non-profit and association settings. Nicole has assisted companies and associations with marketing, communications, and business development activities for over 25 years. Nicole is currently responsible for the marketing operations, creation & development of relationships and opportunities with both clients and prospects, promoting and maintaining a firm-wide marketing culture, and managing & implementing market activities to develop the image of RSW & ROCG Montreal. She works directly with all of the firm’s niches to achieve the goals of the firm's long-term vision. Nicole has been an active volunteer in the Association for Accounting Marketing (AAM) for many years. She has served as chair of the website committee since 2015 and sits on AAM’s Technology Task Force. Nicole was named AAM’s 2017 Volunteer of the Year. In addition to AAM, Nicole serves as the International Marketing Consultant for JHI Association, a global association of accountants and business advisors; furthermore, she is a member of JHI’s Marketing Committee. She is also an active member of the Albany Running Exchange, The Hudson Mohawk Road Runners Club, and Cardiac Athletes. As part of her dedication to Cardiac Athletes, Nicole raises money to purchase deliberators for rural schools and parks where she competes in running road races. Nicole holds a Bachelor of Science in Communications and Public Relations and an Associate’s Degree in Business Administration. Ed joined PBMares, LLP as Director of Practice Growth in April of 2014. In this role, Ed had responsibility for marketing, business development and public relations. In April of 2017, he became the firm’s first full-time business developer and is now directly engaged in growing the firm’s non-profit, government contracting, client accounting services and cybersecurity segments. PBMares is a Top 100 (as ranked by INSIDE Public Accounting) accounting and business consulting firm serving U.S. and international clients from offices in the Mid-Atlantic. Ed started his career in general accounting at Westinghouse Broadcasting Company. After two years of general accounting, Ed moved to sales and has held positions of increasing responsibility in sales and business development, including sales management, director and VP level positions. He has served on a variety of non-profit and community boards. He is currently board vice-president of Samaritan Ministry of Greater Washington and previously served as board treasurer of Strive DC. He served as an executive committee member and treasurer of the Greencastle Antrim Chamber of Commerce, as a member of the Leadership Franklin County Steering Committee and as a board member and allocations committee member at the United Way of Franklin County. Ed lives in Capitol Hill with his wife Marcia.